Rio 2016 Summer Olympics Scheduled between August 5th August 21st. 74 qualified nations were participating on this biggest multi-sport event. 2016 Summer Olympics is hosting in Rio de Janeiro, Brazil. There will be 35 venues in Rio for this XXXIth Olympiad. There are 306 medal events in 28 sports at 2016 Summer Olympics. Opening ceremony is on fifth August 2016. Only football is the event that start before Opening ceremony, football matches will starts on 3rd August 2016. Archery, Basketball, Boxing, Road Cycling, Equestrian, Fencing, Field Hockey, Artistic Gymnastics, Handball, Rugby 7s, Shooting, Swimming, Table Tennis, Tennis, Volleyball ad Weightlifting are starting very next day after the Inauguration. Rio de Janeiro won the Summer Olympics bidding against Spain with 33 votes. Madrid, the City from Spain scored only 32 votes in Final round. Tokyo of Japan and Chicago of USA are other cities, who were participated in 2016 Summer Olympics Bidding. 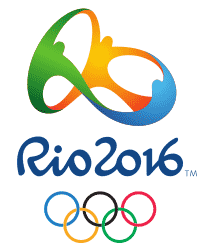 Ticket prices of 2016 Summer Olympics were announced on 16th September 2014, and all the ticket will be sold in Brazilian Reals. All the street events like road cycling are free to watch. A Brazilian company Tatil Design was designed the logo for Rio 2016. Rio 2016 logo represents three figures, in the yellow, green, and blue of the Brazilian flag, joined at the arms and in a triple embrace. Rio 2016 Summer Olympics Calendar furnished here is not completed, will be updated as the official announcement. This is Provisional declared on March 2015.